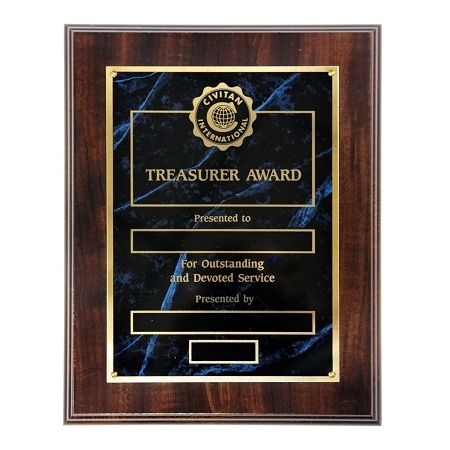 Copy reads: Presented to (space for name) For Outstanding and Devoted Service (space for presenter and date). If you would like for us to engrave your plaque, please enter your engraving information into the text box above. Engraving is 20 cents per letter. The price of the plaque will increase by 20 cents for each letter entered. Please allow extra time for engraving.